I fell in love with Paige Harbison and her writing with her debut Here Lies Bridget. New Girl only confirmed my decision to become a fan. Paige Harbison is a unique storyteller. Her characters are so alive and vivid, painted to such completeness that you feel like they're standing in the room with you, or that you are there experiencing the story from a few paces away. One thing I loved about Bridget, which I loved in this story too, was her ability to take an unlikeable character and make them likeable, to make you care about them when you don't want to. One of the things that made this story unique was that it is told in alternating points of view between third person (Becca) and first person (the New Girl.) So you get to see what is currently happening as the New Girl attempts to settle into Manderley Academy, and what happened with Becca, revealed in flashback chapters that take you through events gradually. There was romance in the story too, and it was a good one... one that kept me interested and had me waiting and yearning to see what was going to happen. The author did a great job keeping you dangling and waiting to see how things would work out, without feeling like you were being led along. Something I found truly amazing was how much one girl's life managed to touch and affect so many others. Even more amazing was that this was not a "good" girl, by any means. Becca was manipulative to the max, but because no one knew they were being manipulated, Becca managed to turn everyone into her followers, so much so that they shun the new girl for "replacing" her. 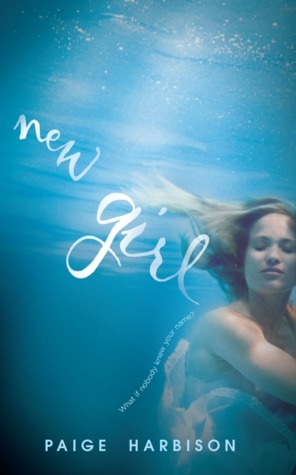 For her part, the new girl is a sweet one, not shy, but just your average girl who has a good heart, but flaws. These two were polar opposites but made an impact in their separate ways. It's hard to write anything else without giving the story away. I'm thoroughly satisfied with this book, loved its characters, and loved Paige Harbison's simple, yet raw style. I can't wait to read more by her.